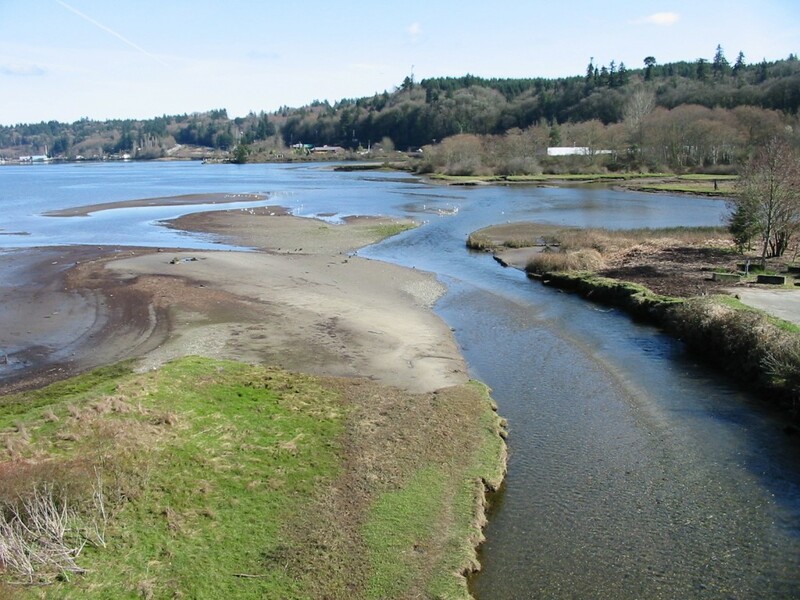 Public fishing access at the mouth of Gorst creek has been re-defined per 2015 WDFW regulations. See reg book for details. Gorst creek is a small creek near Bremerton Washington that drains into the Sinclair Inlet. The creek itself is home to several Salmon species such as Kings, Coho, and Chum. During the fall months the salmon run hard on this little body of water but fishing is only allowed at the mouth in the salt. Be aware game wardens regularly watch this spot due to this very fact. Fishing access is tricky as parking is not so readily available. Check with local retailers before you park, if you don’t want your vehicle might get towed while your out fishing. Sinclair inlet Regs for this location **See Washington State fishing REGS for exact times. This fishery generally allows 2 -4 Salmon per day depending on the season. **See Washington State fishing REGS for details. Top Recommendation for this location is herring or candlefish, Buzzbombs and spinners will do the trick as well. To view our Lunker location maps to this great Salmon fishing spot, become a member of Lunkersguide.com today. Lunkers guide membership get’s you access to all of our Salmon and Steelhead fishing location maps and to our free Lunker Alerts SMS/Text message fishing Alerts system which covers over 37 rivers in Washington. With a Lunker’s guide membership you’ll be well on your way to catching more lunkers!